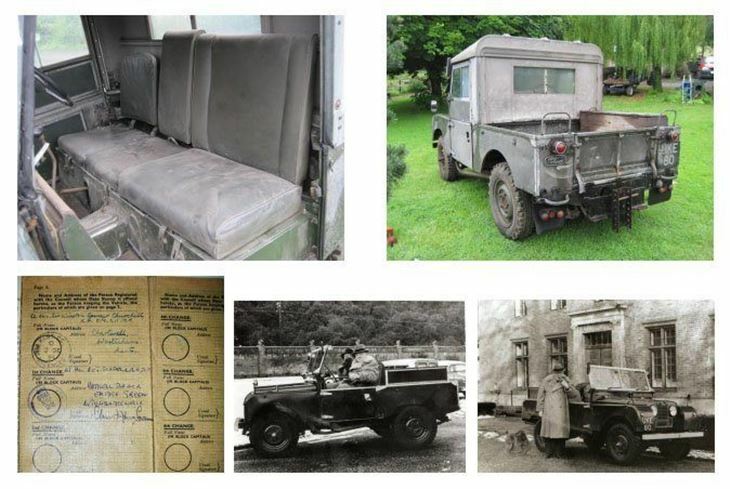 The Land Rover given to Sir Winston Churchill on his 80th birthday is to be sold by auction house Cheffins in Cambridgeshire this weekend. 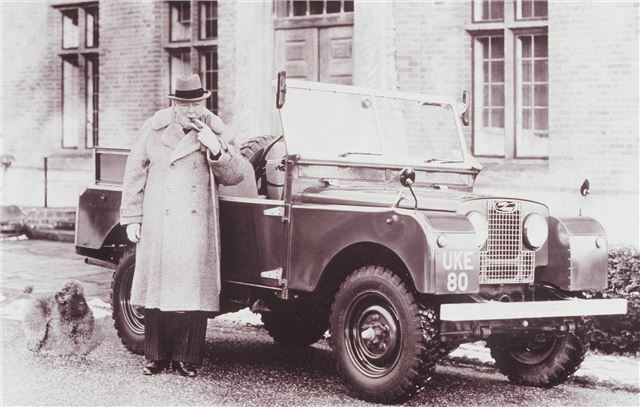 The early Series 1 Land Rover – with the registration UKE 80 was presented to Sir Winston Churchill on 30 November 1954. The original buff logbook shows that just three days later it was registered UKE 80 to a certain Rt Hon. Sir Winston Spencer Churchill KG. OM. CH. MP. Chartwell, Westerham, Kent although his signature is absent. . This is a standard Kent registration (the middle K indicates that it it was registered in the southern county), though it is speculated that UKE signifies “United Kingdom & Empire”, while the 80 marks the wartime PM's birthday. Although largely a standard Series 1 Land Rover, the car does have special modifications to cater for Sir Winston's specific needs. As he was largely chauffeured around his Chartwell estate in Westerham, Kent, there was a passenger-side footwell heater, an extra-wide seat, fold-down armrest and a leather clad grab handle is fitted to the bulkhead. UKE 80 remained on the Chartwell estate until Churchill’s death in January 1965, shortly after, in June of that year, the buff logbook records the new custodian as Winston Churchill’s son-in-law the Rt Hon. A C Soames CBE. MP. Hamsell Manor, Eridge, Tonbridge Wells, Kent. 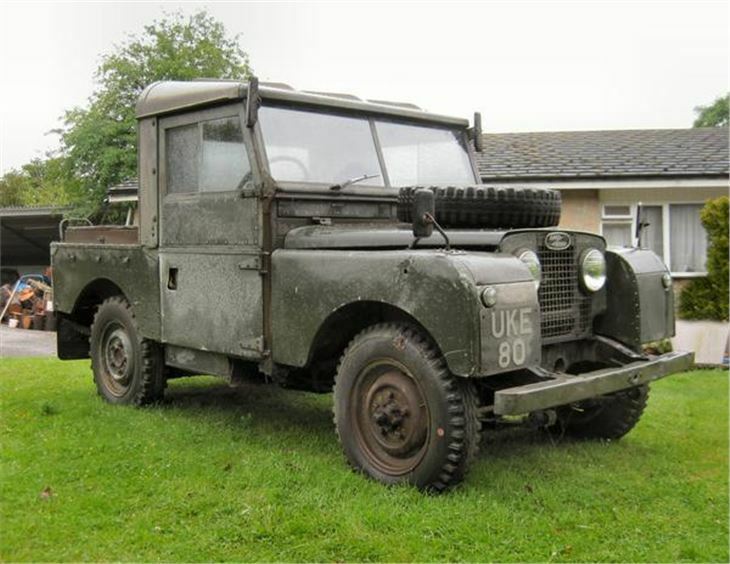 It is known that the Land Rover was only road taxed until December 1967 and thereafter used exclusively around the Eridge farm until 1973, a warning note not to use the vehicle on the road still survives from this time. Christopher Soames had by this time become Vice President of the EEC and this prompted a sale of farm equipment at Hamsell Manor, amongst which was the Land Rover. Mr Norman Mills placed a successful bid at the sale of £160 and, following an argument with the auctioneer, managed to obtain the logbook, paid for his lot and then wondered how to get it home. Norman's neighbour Frank Quay was asked to come to the rescue, Frank, on also seeing the logbook and sharing Normans surprise at the previous owner recorded, decided to make Norman an offer of doubling his money on the spot, the offer was taken and UKE 80 passed into just its third official ownership. Frank and the Land Rover were soon put to work towing his daughters horse box to various events for the next four years, at this time Frank started to form an opinion as to the uniqueness of his vehicle and, in 1977, decided it was too important an asset to keep driving and UKE80 went into the shed. Occasional outings to local events and charity fund raising were all that disturbed the Land Rover for some twenty plus years. UKE 80 was put up for auction around 1999 but the early days of on-line auctions proved fraught with difficulties and Frank decided discretion was the better approach and the shed beckoned for the next decade. There are just 12,932 miles on the clock and it expected to fetch at least £50,000 when it goes on sale on Saturday 20 October at Cheffins in Ely.